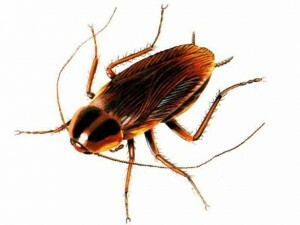 There are two species of cockroach which are common in this country namely the Oriental and the German cockroach. The Oriental cockroach is larger than the German. The adult grows to about 24mm long and can be shiny, dark brown to black in colour. They can climb rough surfaces such as brickwork and will congregate around water sources. The German cockroach is more common and smaller 10-15mm long and yellowish brown in colour. It is able to climb vertical smooth surfaces. The food safety risks posed by cockroaches in food premises are very serious. They carry and spread food poisoning organisms such as Salmonella, E-coli and Typhoid. They can also be responsible for lung disorders similar to asthma. Cockroach Pest Control Measures: Successful control of cockroaches is a complex subject, and depends very much upon tailoring control measures to the species concerned. An assessment of the infestation must be made to determine the species and the extent of the infestation. It is a legal requirement that any signs of pests in a food business are controlled. Cockroaches are controlled by various insecticides. These are dangerous chemicals and must be applied only by a competent professional pest control operator.